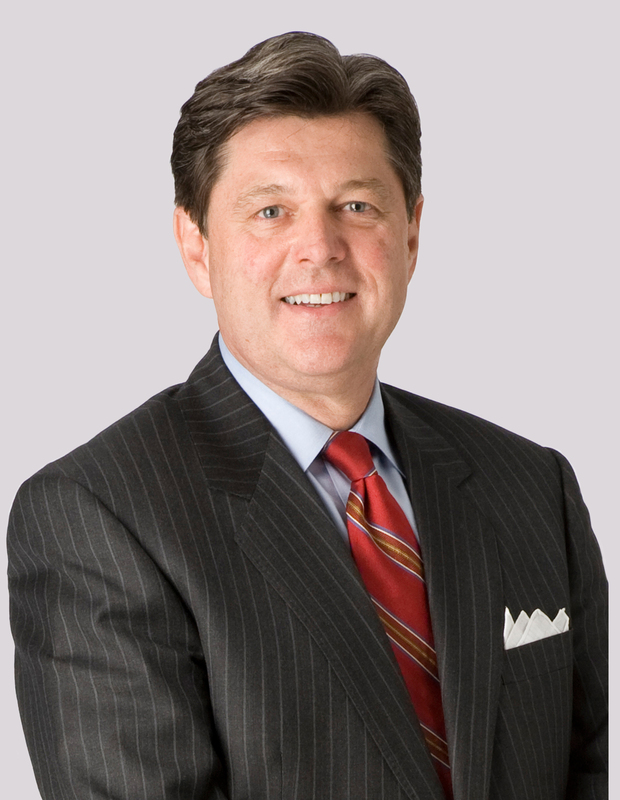 Ahead of the 8th Annual LTE North America event in Dallas, TX this November 18th & 19th, we had the opportunity to interview Steven K. Berry, President & CEO of the Competitive Carriers Association (CCA). In the interview Steven shares his thoughts on the key challenges being faced by competitive carriers throughout the U.S., the industry’s concerns looking forward to 2015, and the path towards a competitive landscape for all carriers. Q. What are the key challenges faced by North American carriers today in the roll-out and upgrade of LTE networks? A. Competitive carriers must have access to critical inputs including access to spectrum, access to the latest, most-advanced handsets, and reasonable roaming agreements to continue to improve and build out their networks. Carriers in the most rural and hard to serve areas also need certainty regarding sufficient Universal Service Fund (USF) support. Competitive Carriers Association (CCA) works each and every day to ensure our members, nearly every wireless carrier in the U.S. outside of AT&T and Verizon, have the opportunity to grow and thrive, and to do so, they must have access to these inputs to find a pathway toward the next generation of networks. The wireless industry is, unfortunately, plagued by continued consolidation – a significant challenge for smaller carriers trying to compete with the two largest national carriers. We have been working closely with the Federal Communications Commission (FCC or Commission), Congress and the Administration to ensure policies are in place that will allow our members to enhance their networks and serve their customers the best way possible. Tim Donovan, VP of Legislative Affairs for CCA, is speaking at the LTE North America event and will address some of the critical policy issues for CCA members and how decisions made in Congress and at the FCC affect not only the carriers, but consumers and the economy as well. Ahead of LTE Latin America 2015 in Rio de Janeiro next month, Informa’s LTE World Series team sat down with José Otero, Director of Latin America and the Caribbean at 4G Americas, to discuss the present and future of LTE in the region. The LTE World Summit is the premier 4G event for the telecoms industry and is taking place on the 23rd-26th June 2014, at the Amsterdam RAI, Netherlands. Frédéric Ruciak, EVP of strategy for Bouygues Telecom will be speaking on a panel dedicated to maximizing revenue from LTE, taking place on one of the conference. To what extent have you virtualised your network and how important will NFV be in the future? 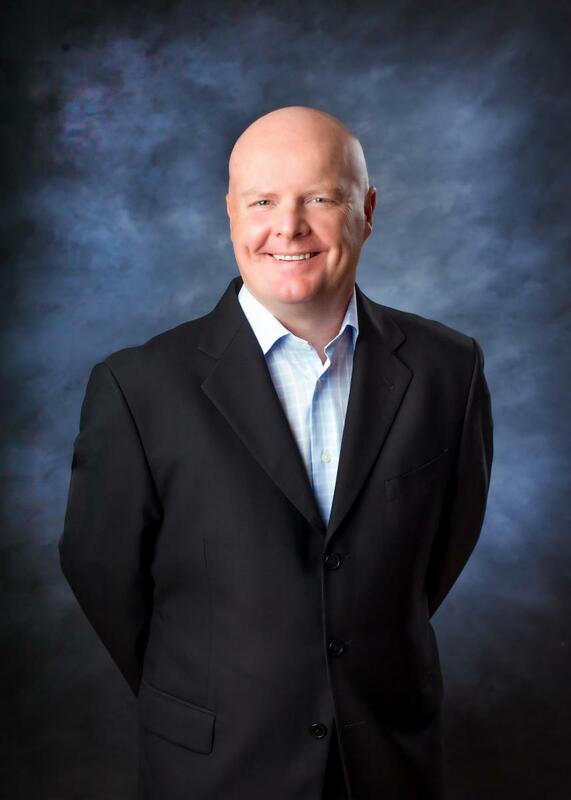 Chris Pearson, President, 4G Americas is taking part in panel discussion on spectrum and on 5G at the LTE World Summit, the premier 4G event for the telecoms industry, taking place on the 23rd-26th June 2014, at the Amsterdam RAI, Netherlands. Tell me more about the role that 4G Americas plays? We’re focussed on technical facilitation and co-ordination – pre-standard, when you come up with ideas and concepts that need to go into 3GPP, or even post standard—when a standard has been made but you need an education into the wireless industry about what that means and how you get it into the marketplace. Secondly, we do a lot or regulatory or advocacy work in the Americas. You need organisations that understand [spectrum] and can go out and work with governments on auctions and what are the internationally harmonised spectrum bands that need to come out—all kinds. We bring a real technical and international viewpoint for the Americas. Finally, we have a lot of industry analysts and government and media that want somebody to be able to talk to, to explain the technology for them so they can do their jobs as stakeholders in the industry. Ask the Industry: “Is shared spectrum a magic bullet for capacity crunch issues? Read on below to compare and contrast the answers. Professor Simon Saunders, Director of Technology, Real Wireless, Chair, Spectrum Applications & Demand, UK Spectrum Policy Forum and Adjunct Professor, Trinity College Dublin, is speaking at the LTE World Summit, taking place at the on the 23rd-26th June 2014, at the Amsterdam RAI, Netherlands. Book your last minute place now to hear about key issues such spectrum challenges. Is shared spectrum a magic bullet for capacity crunch issues? No. While an increase in spectrum sharing is inevitable over time, the devil is in the detail of the sharing conditions. If there is a lack of certainty, or onerous coexistence conditions, we have shown that the economic value of shared spectrum drops very rapidly compared with exclusive licenced spectrum. Given a choice, who wouldn’t prefer 50 MHz of exclusive spectrum over 100 MHz of shared spectrum with uncertain conditions? Turkey has yet to roll out LTE as it awaits spectrum allocation. Dr. Mustafa Aykut, International Affairs and Policy Coordinator for Türk Telekom talks us through some of the complex issues and explains his objections to the EU banning roaming charges. Dr. Aykut, is taking part in a panel discussion entitled: “Assessing successful and innovative deployment strategies”, taking place on Day Two of the LTE World Summit, the premier 4G event for the telecoms industry, taking place on the 23rd-26th June 2014, at the Amsterdam RAI, Netherlands. What are the main challenges of rolling out LTE in Turkey? Currently, there is no roadmap regarding spectrum related actions for LTE roll-out as 800 MHz band will not be cleared until June 2015. Furthermore, problems associated with the unfair allocation of GSM bands continue to have an impact. 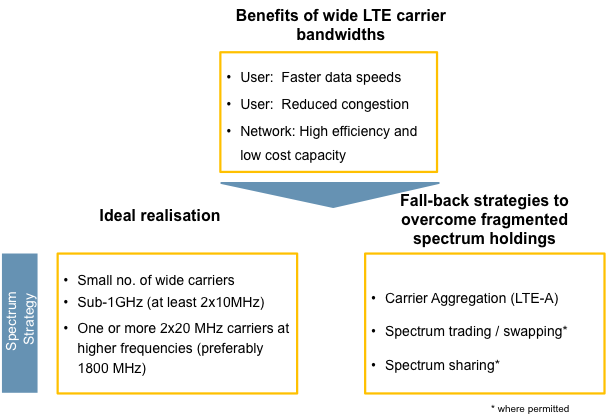 The fair allocation of existing bands is a prerequisite for LTE launch and technology-neutral use of spectrum. Internet security is an issue that is always high on the agenda. Do you think that operators should be doing more to protect their customers? In Turkey, all ISPs operate in accordance with the regulations set by the regulation authority, ICTA, with regards to internet security related issues. However, it is important for operators to raise awareness among users about internet security to ensure the safety of their customers and their information. Dr. John Saw, SVP, Technical Architecture, Sprint is delivering a keynote address on “Analyzing the LTE Opportunity”, on Day One of the LTE North America conference, taking place on the 21st-22nd November 2013, in Dallas, Texas, USA. Ahead of the show he tells us more about how Sprint is differentiating itself from the competition and gives us the low down on its Spark brand. It’s a crowded market out there. How is your network differentiated from the competition? How we’re different is pretty simple. We have the ability to build a bigger pipe than the competition because of our spectrum position, especially in the top 100 markets. We have a lot of contiguous spectrum at 2.5GHz, and this allows for carrier aggregation to build the big pipes we need to ultimately offer better performance, faster speeds, and unlimited data. We actually want customers to use our LTE network because we will have the capacity to support the demand for high speed data. Where it’s really coming together (how we’re different) can be seen in Sprint SparkSM – an effort that we expect to bring together some of the most advanced technologies in wireless to deliver unprecedented speeds. The LTE North America conference is taking place on the 21st-22nd November 2013, in Dallas, Texas, USA. Click here NOW to download a brochure for the event. Patrick Urgento, Senior Systems Engineer, Sprint is speaking in the “Future of LTE” track on Day Two of the LTE North America conference, taking place on the 21st-22nd November 2013, in Dallas, Texas, USA. Ahead of the show we speak to him about how its progressing with deploying LTE at three frequencies at once. What are the biggest challenges involved in integrating the Clearwire TD-LTE spectrum you recently acquired with Sprint’s existing LTE network? There really hasn’t been a major challenge with Integrating Clearwire’s spectrum. Before the acquisition, there was a plan in to integrate more than 5000 Clearwire TD-LTE sites by the end of the year, and that is on track to be completed. We are in the process of selecting several thousand more Clearwire sites for the first half of 2014. Clearwire had done an amazing job operating a low cost network and we have been working on interoperability with Clearwire site vendors and Sprint EPC core vendors for a while. As these sites come online and customers access them, we expect they can see speeds in the tens of Mbps. 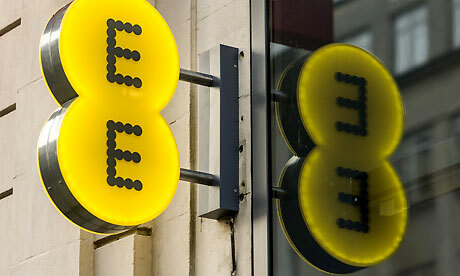 EE, the only national UK operator currently offering LTE has made couple of announcements today, several of which are innovations for the UK market. Firstly it has made good on its promise from back in April that it would ‘double’ average UK speeds, with an initial launch of 12 cities. This is no LTE Advanced chicanery – it has simply double the bandwidth it uses from 2 x 10MHz to 2 x 20MHz. Clearly EE has got plenty of spectrum, and it’s not afraid to flaunt it. It’s also happy to shout it now being able to offer speeds up to 150Mbps, but that’s theoretical, and effectively nonsense. There is a genuine real-world speed boost on offer though, and in my tests on an iPhone 5, I now am consistently getting 30Mbps – pretty much double what I was seeing before. This is of course a strategic move to keep it ahead of its rivals, who will soon be launching their own LTE services and are unlikely to have the bandwidth to match EE’s speeds. What’s innovative though is the pricing. The double speed is free to all existing subscribers, but it says that from September it will be charging more for the faster service. If it goes through with this, it will be the first time that a mobile operator has offered speed-based tiered pricing in the UK. This is going to be in stark contrast to Hutchison’s 3 UK network, which has already said it will not be charging more for its LTE service, and has been trying to counter EE speed marketing with its own ‘Ultrafast’ labelling, thanks to its use of DC-HSPA delivering 20Mbps. No surprise then that it also confirmed that it is trialling carrier aggregation and might use this from the end of 2013, which will help it boosts speeds further. The other area of innovation from EE is the introduction of Shared plans, again a UK first. From 17 July, you’ll be able to add up to five devices to one bill, for an extra £12 per phone or £5 for a tablet. That should make it more attractive to get more than one LTE device for a household. Thirdly it’s introducing LTE as a Pay-as-you-Go option – asking £15 for 2GB a month with every extra 500MB costing £3. O2 MVNO Giffgaff offers unlimited 3G data for £12 a month, so the price premium for speed is clear here. The next new trick is dubbed ‘Cash on tap’ – with a mobile contactless payment scheme using the NFC built into its compatible handsets using Mastercard. This means of course that the iPhone 5 is off the menu, and mainstream outlets such as McDonalds and Boots are on board. Of course contactless is something of a misnomer as you actually have to tap to make it work, but we’ll let that go. Finally, there’s a new router on offer for its fixed-line fibre (FTTC) customers, the main draw of which is support for 802.11c, the new fast Wi-Fi standard. It’s a healthy batch of announcements and it’s good to see EE not resting on its laurels as it strives to reach one million customers by the end of the year, but of all its moves, I’ll be most curious to see if the UK market has the stomach for tiered speed pricing. This post is by Scott McKenzie, Director, Coleago Consulting Limited. With mobile data currently growing globally at anything up to 70 per cent per annum (see diagram) , operators need to get more capacity out of their networks to successfully compete in an increasingly data centric world where customer expectations are rising. In the markets where 4G mobile data has taken off rapidly, speed has generally been one of the main marketing messages used to sell the service. Low capacity will increasingly lead to a poor customer experience and create opportunities for rivals with less congested networks. As we move into the data world we therefore believe that network quality (both capacity and coverage) will remain an important differentiator for operators wanting to avoid competing on price only. Clearly LTE (with wide carrier bandwidths) offers significant advantages versus HSPA, such as higher user data speeds and reduced latency while offering the operator much lower cost capacity and higher network efficiency. However these benefits can only be realised if the operator has the right spectrum holdings to exploit these advantages in the first place. Although it is very situation dependent, from working on numerous LTE and spectrum projects around the world, we believe that the best way that an existing operator can ensure it has a competitive network position is to secure a small number of wide LTE carriers; fragmented holdings should be avoided wherever possible. Also a good mix of high and low band spectrum is required to ensure that there is sufficient capacity and coverage in the network. Ideally an operator should aim for at least 2x10MHz of sub 1GHz spectrum for coverage (rural and in building), while for capacity one or more carriers of 2x20MHz at higher frequencies (preferably 1800 MHz) ought to be the target. Operators need to consider if they can re-farm spectrum to get some advantage. Failure to secure the ideal spectrum holdings does not however, mean that an operator is in a hopeless position, but it will certainly make life much harder. There are various fall back strategies that an operator can pursue to overcome fragmented holdings. First of all, LTE-Advanced technology will in the future enable spectrum holdings to be aggregated, but this is not a fix that operators can rely on in the short term given that it will take time to come to market on both the infrastructure and device side. In theory spectrum trading, swapping or sharing may be permissible in many markets but again this is not a silver bullet as spectrum trades usually involve intense negotiations between rivals who will not give anything away cheaply to help a competitor. In addition, such transactions usually need the approval of competition authorities, which can be lengthy processes with a far from guaranteed outcome. There may also be significant transaction costs – for example, any profits will be subject to capital gains taxes. One final issue that operators need to consider carefully when determining their preferred LTE spectrum holdings, is that they should always aim to secure spectrum that is aligned with standardised regional bands. This means that, they will have access to as wide a range of devices as possible which will also be vital from a commercial point of view as many consumers make their handset choice before selecting their operator. 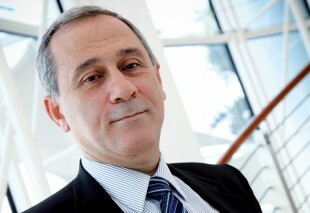 Marwan Zawaydeh is the CTIO of Etisalat, UAE. 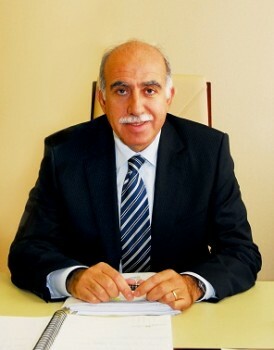 Marwan Zawaydeh is the CTIO of Etisalat, UAE. 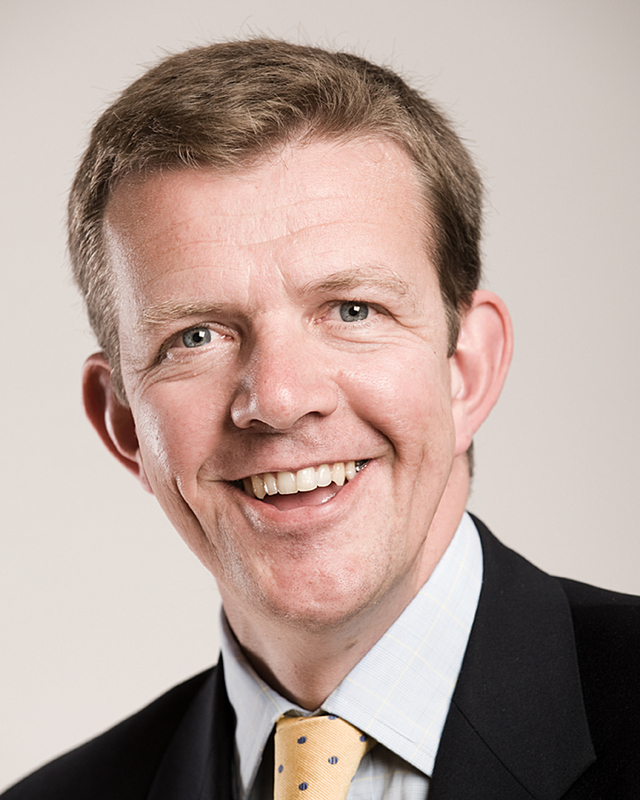 He will be speaking on Day Two of the LTE World summit taking place on the on the 24th-26th June 2013, at the Amsterdam RAI, Netherlands. Ahead of the show we speak to him about the latest developments in LTE in the region and learn more about his views on RCS, roaming and LTE monetisation. We spoke to you this time last year. How has your LTE network developed since then? These were very exciting 12 months for Etisalat and for our customers, and we are looking forward to build on this success to continue to lead innovation in the region and provide our customers the latest in technology. We were able to significantly enhance LTE coverage, which has now reached 80 per cent of the populated area. Coverage will be further enhanced further this year as the number of deployed sites will double. We were also able to bring a very rich portfolio of LTE terminals which includes dongles, a Mi-Fi, and popular smartphones from Apple, Samsung, and Blackberry. We were able to secure exclusive deals with these top manufacturers and were able to provide our customers with very attractive packages. This resulted in significant growth of our mobile data traffic as our customers adopted LTE enthusiastically. This has resulted in a significant increase in the ARPU from our mobile customers. Can you give me examples of a couple of your biggest challenges that you faced? The first challenge we had was to provide proper coverage to our LTE customers. We started with the 2.6GHz band because it was the only band available at the time. This gave us regional leadership in LTE until enough spectrum in the 1.8GHz band became available. Another big challenge was the fragmentation of the LTE global deployment and the difficulty in bringing a comprehensive LTE eco-system to our customers. We had to expedite the introduction of the 1.8GHz band to be able to provide our customers the best-in-class LTE smart phones and LTE devices. How do you meet the challenge of offering good value to the consumer and at the same time monetising your investments? This challenge can only be met when investments result in superior customer experience and access to new and innovative products and services. Fortunately, LTE is all about providing our mobile customers much higher throughput, lower latency, and an overall superior customer experience. But this wouldn’t be possible unless we looked at our network end-to-end. Many operators struggle in backhauling LTE traffic and that results in a deteriorated customer experience. Etisalat had a vision several years ago to invest heavily in the fibre network as a converged and future-proof platform. The UAE is currently number one globally in deep fibre deployment because of Etisalat. Our fibre-rich network enabled us to provide GigE connectivity to all our mobile sites to provide an unmatched customer experience. At the same time, continuing to flatten the network architecture helped us enhance the cost effectiveness of our deployment and significantly enhance the overall delivered value to our customers. Applications that enhance the customer experience will help us monetise our investments. An example of that is eLifeTV, which provides our customers with access to live HD channels and HD video content. We are finding it to be very popular in our market and now we have the platform to enable it we will continue to introduce similar services. How important is LTE roaming for your customers and what are the challenges in enabling it? UAE has a unique characteristic of a huge expat population that roam a lot so it is important to facilitate LTE roaming as early as possible, but there are several challenges that still remain. Current roaming agreements do not provide the required QoS, SLA, and security requirements for enriched LTE services. Etisalat is in the process of deploying an IPX Hub to enhance the roaming capabilities,not only for data traffic, but also for high value voice and rich communication services in the future. Etisalat’s goal is not only to provide roaming to customers in our local market but to become a roaming hub for other operators as well. What are your plans for RCS-based services and are you excited about them? We believe enriched services such as RCS are the future and we are actively exploring various options of introducing RCS services as part of our portfolio of innovative products and services. Actually, we already have the required back-end system, which will ensure a fast time to market. We are working with our marketing team to determine the right market-entry strategy for these services in UAE. Why is the best thing for you about attending the LTE World Summit? We are always keen on attending the LTE World Summit to share our experience and learn from other leading operators. The telecom industry is very dynamic and mobile technology is evolving fast. Etisalat takes pride in consistently taking a leadership in the MENA region and providing our customers with the most innovative technologies and best in class products and services. Attending the LTE World Summit helps us travel fast through the experience curve via engagement with the top operators and vendors in the industry. Dr Imad Holballah, acting CEO of the TRA Lebanon, is delivering the opening day keynote on Day One of the LTE MENA conference, taking place on the 13th-14th May 2013 at the Jumeirah Beach Hotel, Dubai, UAE. Ahead of the show we find out more about the complex challenges regarding spectrum that are impacting the roll-out of LTE in the Middle East. How advanced is data usage in Lebanon? The dominant player in the mobile arena in Lebanon is the Ministry of Telecommunications (MoT). The MoT has rolled out two 3G HSPA+ networks throughout the country and these are being run by two network operators, Alfa and Touch. The 3G networks can theoretically deliver speeds up to 4Mbits/s. However, the average speeds users experience are normally only in the range of 0.3 – 1 Mbits/s – so the need to move to next generation technology is clear. In Q1 2013, major ISPs entered the 3G data market by introducing new prepaid data SIM cards for tablets, dongles and Wi-Fi routers. In addition, the MoT has recently been testing LTE (mainly at 1800MHz) on both network operators, in preparation for a full launch in the near future. Can you tell me about the spectrum auction process in your region and how it has impacted LTE deployments? LTE spectrum bands are generally not being auctioned in Middle East countries. Rather LTE network deployments within the region have been utilising frequencies already assigned under current licenses, e.g. Mobily Saudi Arabia, Nawras Oman, Ooredoo Qatar and Etisalat UAE. An auction to sell LTE radio spectrum in Bahrain was halted after a wireless broadband operator appealed against its exclusion from the sale. In Lebanon, the Ministry of Telecommunications assigned spectrum on the 800 and 1800MHz bands without going through a spectrum auction, given that the mobile market has not been liberalised yet. What are the key challenges that the TRA is facing in terms of getting LTE deployed? There will also need to be rules and procedures to encourage infrastructure sharing, particularly involving active sharing (e.g., Single RAN and spectrum sharing) and passive sharing of towers and ducts. A decision on coverage obligations will need to be made on whether it will be applied to specific spectrum bands or licensed to mobile operators irrespective of the operating band. Another issue is that there is a shortage on backhaul spectrum frequencies to satisfy LTE deployments and we need to speed up the process of deploying optical fibre cables for E-node B backhaul. Finally, the availability of multimode multi-band LTE devices is a problem as these are not widely available in the market. What are the primary concerns of operators in your region and what are the key challenges that they face in the next 12 months? The major concern of mobile telecom operators is riding the data tsunami in the MENA region while the voice market continues its gradual decline. OTT applications (such as Skype, WhatsApp, Viber) that bring “free voice” and/or “free SMS” are a direct challenge to legacy voice and SMS revenues. To counter this, operators are looking for partnerships with OTT providers to bundle their services into their triple-play packages. There will also need to be investment in data compression technology to better manage growing data volumes. Additionally, the availability of a simplified and flexible spectrum licensing regime will reduce administrative burdens and spectrum harmonisation and the greater availability of multi-modes multi band devices are essential. Operators in the region are certainly interested in acquiring low frequency bands for LTE deployments due to their excellent propagation characteristics (e.g., better indoor coverage and greater outdoor coverage). In MEA, operators have started to deploy LTE deployment on 800MHz band. The UAE is preparing to launch it soon and Ooredoo Qatar launched its first LTE network on 800MHz Band 20. In Lebanon, the two mobile operators also started LTE pilot projects early this year for networks on 800MHz. 1800MHz is also popular as an international frequency to aid global LTE roaming and about 10 out of 16 LTE Networks in the Middle-East were deployed on that frequency. Does LTE throw up any specific issues such as bill shock through excessive data usage? The LTE issues are essentially the same as that of 3G. To avoid ‘bill shock’, mobile operators in Lebanon are currently relying on sending several SMS messages to warn the subscriber of their data usage at 50 per cent, 80 per cent of their data limit, when they have hit it, and of the charges when they are roaming. Despite these efforts some consumers in Lebanon are still facing high bills such as when roaming for the first time, due to the lack of experience in the data usage, and sometimes when they sign up for a lower cost plan that does not fit their data usage needs. Following swiftly on from EE’s launch of the UK’s first live 4G network just a few weeks ago, today marks the next important milestone in the establishment of a genuinely competitive market for 4G services in the UK. The passing of today’s deadline for prospective bidders to submit applications takes us one step closer to the completion of the highly controversial, long-awaited and largest ever auction of spectrum in the UK. Bidding itself won’t actually start for real until January and we’re likely to see weeks of intensive bid rounds until the results proper are finalised by February or March next year. As far as the UK’s mobile operators are concerned, this can’t happen soon enough. Despite the encouraging signs we’ve seen since EE went live, the UK is still lagging far and away behind the world’s most advanced 4G market(s). To put it context, by the time the remaining 4G networks are switched on at some point in the middle of next year, more than one-third of Korean and about 20% of Japanese consumers will already be actively using 4G services in their respective countries. But that’s not to say that we don’t expect to see a marked acceleration in the pace of 4G adoption in the UK next year. By that point, most of the high-end flagship phones on sale in the UK will support 4G technology, we can expect to see some pretty competitive pricing as the markets kicks into life and the inevitable blanket market campaigns are sure to lift interest in and adoption of 4G amongst UK consumers. How much is the auction expected to raise and who will bid? It’s fair to say we’re expecting the amount raised to represent just a fraction of the record £22.5 billion spent during the 3G licensing round in April 2000. We have to remember that those were exceptional times, before the dotcom bubble burst and at the height of hype around mobile, and the industry will be much more cautious this time around, not least because of the weak economy and the declining revenues that many operators are suffering in the UK and across Europe. In his recent Autumn Statement, the UK Chancellor George Osborne pegged the amount the UK Treasury is hoping to raise at £3.5 billion, which puts the official view slightly above industry expectations, but broadly on par with the amounts raised in similar auctions in other European markets such as Germany. We’re expecting the auction to attract all the usual suspects , meaning the UK’s existing mobile operators Vodafone, Telefonica O2, 3 UK and, of course, EE, who’ll be looking to bolster their existing 4G spectrum position. What we don’t know and can’t predict is whether we’ll see any wildcard bids. There’s been plenty of industry speculation about the possibility of some of the UK’s other telecoms and media powerhouses, the likes of Virgin Media, Sky or BT, entering the fray, but the experience of looking to other markets that have held similar auctions means we should be surprised if there is a genuinely disruptive and large-scale bid from one of the players. It can’t be ruled out, but it would certainly be unexpected. The LTE World Summit, the premier 4G event for the telecoms industry, is taking place on the 24th-26th June 2013, at the Amsterdam RAI, Netherlands. Click here to download a flyer for the event. Have you heard about the one where one of the supposedly leading economies of Europe had its LTE rollout repeatedly delayed much to the frustration of everyone except the lawyers. Yes, it’s called the UK. No you’re right, it’s not funny. 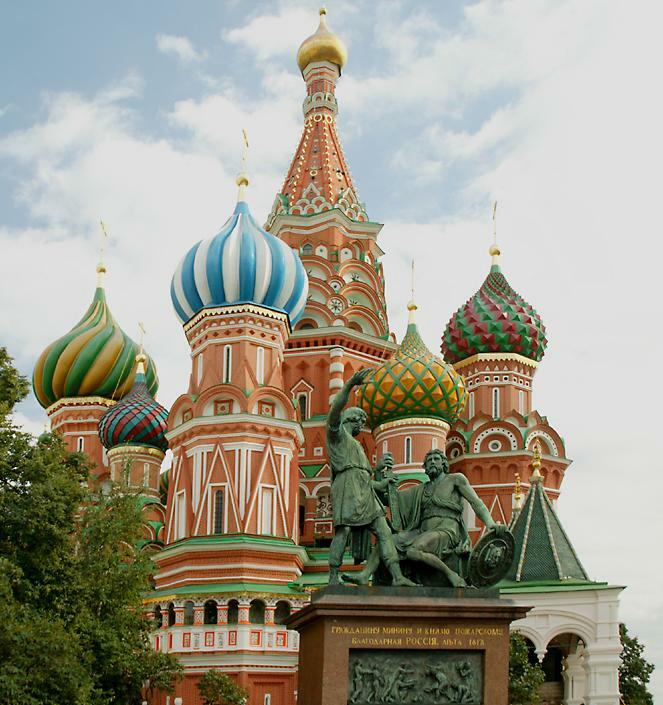 Over here, this week we’ve been looking enviously at Russia that has given out its 800MHz LTE licences with virtually no fuss to its top four network operators – the state-owned Rostelecom and the other big three: MTS, Vimpelcom and MegaFon. They paid exactly nothing for the licences but as part of the deal they are required to spend 15 billion Russian rubles ($457.42m or £296.2m) into network infrastructure each year until 2019. Which doesn’t seem that much compared to the billions that UK networks are required to pay. Yota is of course already operating there, based on its WiMAX standard but in the process of switching over to LTE using 2.3GHZ, 2.5GHZ and 3.5GHz. The point is that it’s all go as far as LTE is concerned over there, while over here we seem to be sitting behind what could be described as a virtual iron curtain. The LTE Asia 2012 conference is taking place on the 8-19 September 2012 at the Marina Bay Sands, Singapore. Click here to register your interest.